Things are starting to get crazy around here. With the Christmas season rapidly approaching, paired with the bout of unpredictable Sydney weather, it's no wonder why a girl would want to try and re-establish a little bit of basic. There are some things just don't need to be complicated. Brunch is one of them. To kick off this week, I thought I'd share my fool-proof, easy done, never fail brunch formula - yes, it' more of a formula, much less a recipe. Start with one beautiful loaf of bread - My favourite for this breakfast is the Soy Linseed from Bourke Street Bakery. 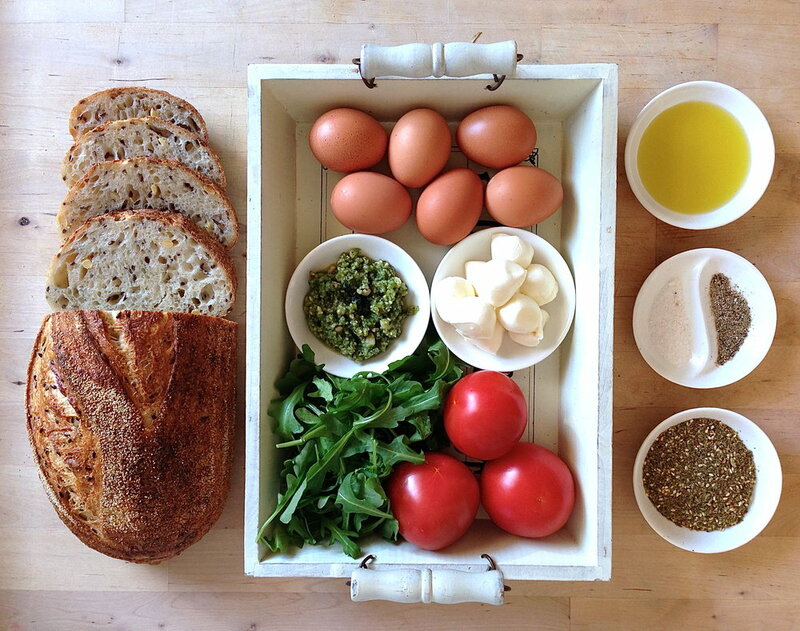 Basil pesto 2 boiled eggs per person Thick Sliced tomatoes Thick sliced bocconcini Baby rocket or fresh greens Sprinkle with dry zaatar mix Drizzle olive oil Finish with a light grind of salt and pepper.